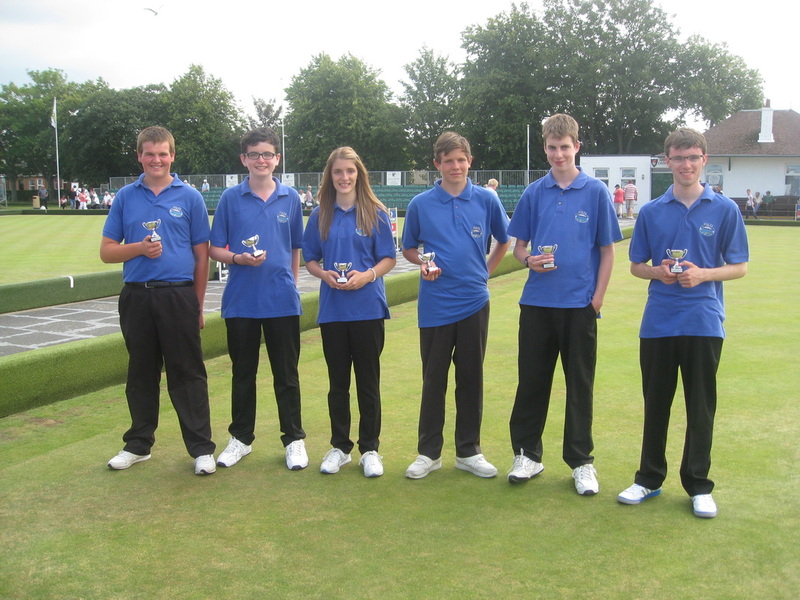 The Scottish Young Bowlers Association National Championships were held on Monday 22nd July 2013 at Northfield Bowling Centre at Ayr, a day before the adults championships started. From our district Jason Banks (Inverurie) was in the singles, Cameron Taylor and Jamie Hoper (Insch) were in the pairs and Carla Banks, David Thomson and Martyn Thomson (Inverurie) were in the triples. There were 24 entries from over Scotland in each discipline and they were split into 4 sections of 6. Each player / team had 5 games in the round-robin stage of the competition, with the winner of each section progressing to the semi-finals. Jason’s section had singles players from Edinburgh, North & South Ayrshire, West Fife and Angus & Dundee. He managed to win his first 4 games and knew he would qualify for the semi-finals before the played his last game of the round-robin stage. Jamie & Cameron’s pairs section had teams from Wigtownshire, Ayrshire North, Midlothian, Central West and Central East. The pairs unfortunately lost their first 2 games but rallied as they got more accustomed to the Ayr greens and managed to win their next 3 matches. Unfortunately it wasn’t enough to get them through to the pairs semi-finals. Carla, David & Martyn’s section had triples teams from Lanarkshire, South Ayrshire, Central East, Angus & Dundee and West Fife. The triples did well by winning 3 games but disappointingly lost a game by 1 shot. Unfortunately they went on to lose another match which put them out of the running for the semi-finals. Jason went on to play the singles semi finals against Jordan Kerr of Glasgow South. He won that match and made made it through to the SYBA National Singles Final against Liam McKay from Edinburgh East. Jason was 12 - 6 up playing the last end and so victory was inevitable. 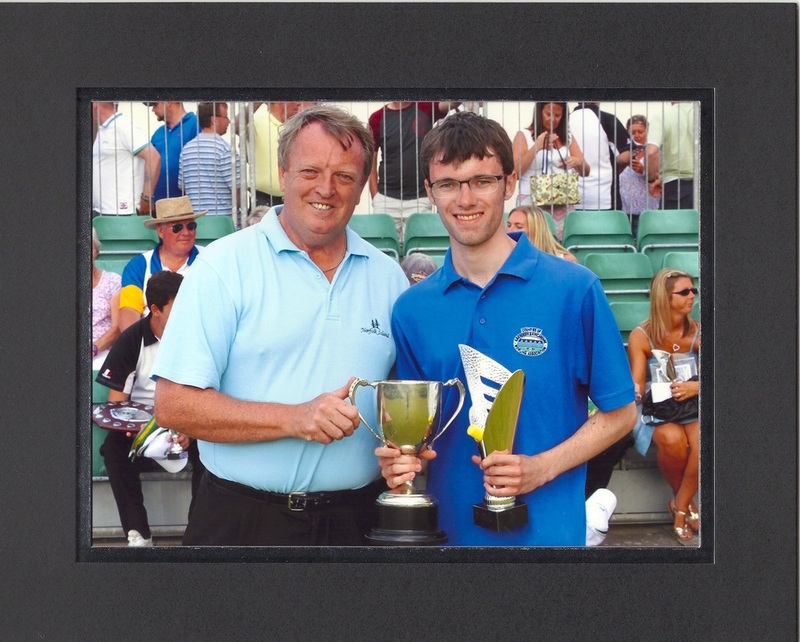 Jason was presented with his trophies from Gary Smith the CEO of World Bowls. The SYBA started holding their National Championships back in 1983 and this is the first time that a singles player has managed to win the title for a second time. Jason has also won it in 2011 when he had just turned 15. All the players enjoyed their day at Ayr, which was a great experience for them all. The weather was glorious and the crowd of approximately 1,000 were enthralled at watching some of the best young bowlers in the country compete. Many thanks goes to Jim Whyte, the Inverurie BC President, for his marking duties throughout the day. Some of the players from our district have been nominated for a SYBA National Team Trial which will be held at Perth West End BC on Sunday 4th August starting at 10.30am. If selected they will play in the SYBA National Team against England (Northern Counties) on Sunday 22nd September 2013 at Gosforth BC Near Newcastle.